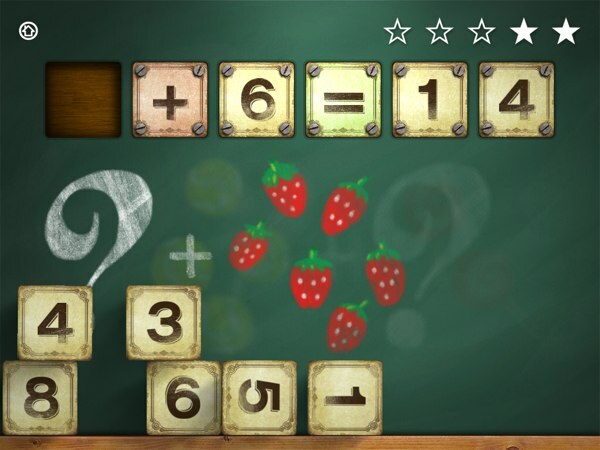 We have reviewed more than 40 math apps for kids in the past. 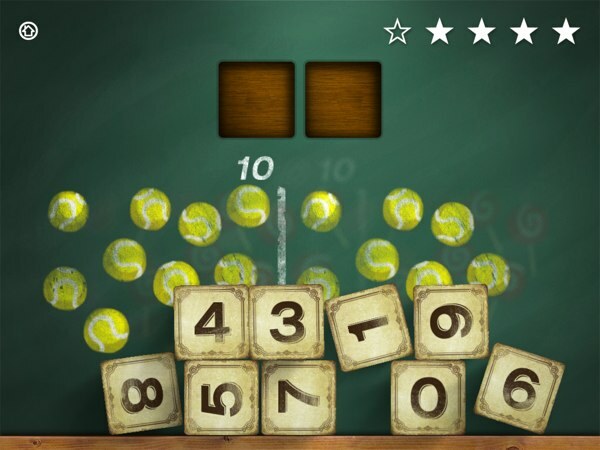 Even though there are already many apps that teach early math skills, such as addition and subtraction, we always welcome new and exciting apps in this space. My pick for today is Mathcubes: Addition and Subtraction, which is specially designed for kids with dyslexia. Mathcubes: Addition and Subtraction offers endless challenges for kids ages 3–8. Mathcubes is divided into four activity groups: counting, addition, subtraction, and mixed operations. Each group consists of three levels of difficulty. Players need to complete the first level in order to unlock the other two levels. Within each level, players need to answer a set of five questions correctly. In the counting activity, players are given a set of objects to count. Then, they need to drag the proper cubes into their respective placeholders such that they represent the number of objects. In the addition and subtraction activities, players are asked to solve addition and subtraction equations that involve two operands. Earlier levels require them to find the solution of the equation, whereas latter levels require them to find the number missing in the equation. The final activity shows equations with mixed operands and three operators, such as 2 + 3 - 1 = ?. When players have completed the first difficulty level of that activity, they can play with more complex challenges such as 3 - 2 + ? = 5. 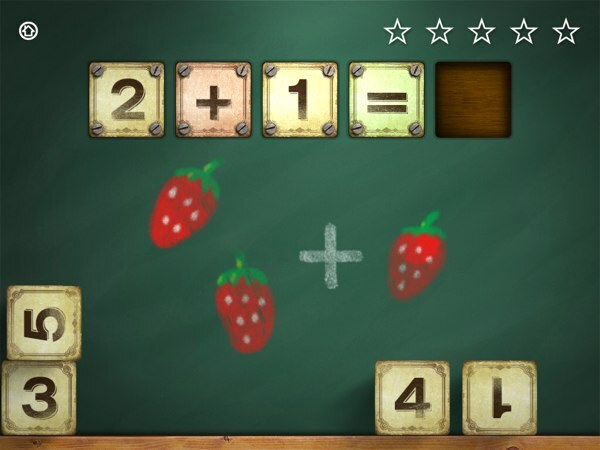 Mathcubes includes objects in the background to help kids associate the equations with real-world objects. Mathcubes: Addition and Subtraction is designed for kids ages 3+ to learn on their own. The gameplay is playful and intuitive. Kids can stack the cubes or throw them around. As you tap each cube, the narrator will say the number on it. This helps kids distinguish the number 6 from the number 9. As mentioned, the app is specially designed for kids with dyslexia. All the exercises are narrated, and there is no time limit to solve them. Additionally, the app is available in English, French, German, Spanish, and Italian. The levels has a gentle learning curve that covers basic counting to advanced operations. Kids will likely spend some a good amount of time playing Mathcubes: Addition and Subtraction. Thankfully, the app has a soothing background music to keep them calm and focused. Additionally, the app makes it so that the addition and subtractions can be translated into real world activities by placing everyday objects in the background. I find it helpful that the app automatically generates new problems every time kids play. This makes the app suitable for longer practice sessions. To keep things simple, even the most advanced level in Mathcubes only involves number up to 19. Mathcubes: Addition and Subtraction is an activity app that can help kids ages 3+ hone early math skills, especially addition and subtraction. Designed for kids with dyslexia, it has a broader appeal than most apps in this category. It also has high replay value, making it suitable for longer math practice sessions with multiple kids. Practice Your Mental Math and Business Skills with Motion Math: Pizza!